A WordPress theme aim is to allow its users to express their individuality while increasing the functionality of the site. 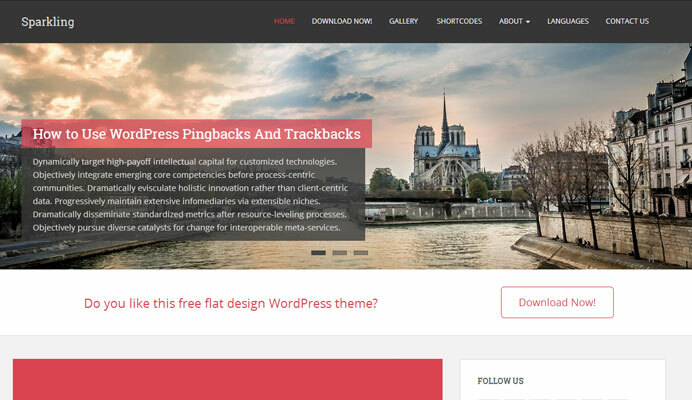 While many WordPress themes cost less than a sixty dollars, you can also find some that are free but with terrific design and awesome functionality. Below are our favorites from the June of 2014. 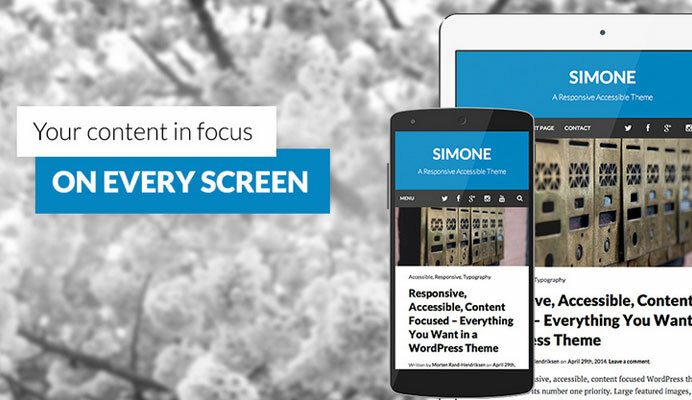 A responsive, high-resolution and accessible theme, Simone features custom links and headers, images and typography which is not only easy to read but can fit on all screen sizes as well. Meanwhile, its other features boast footer and sidebar widgets, keyboard accessible navigation and optional social menu. It also includes an author profile box which can be collapsed. It can be translated easily and it comes with Norwegian and English language files. The Hathor theme allows you to easily and completely customize the colors, style and layout of your WordPress website. It even allows you to upload your own logo. The theme also provides you with two service block styles, two header styles, boxed and full width layout. In addition, the Hathor theme is translation ready. The flexibility of the theme allows it to be used for a variety of websites such as blogs, portfolios, businesses and creative agencies. The theme can also fit well on all mobile devices. This theme allows you to create a website without being required to enter a single line of code. The customizable features and the drag and drop page-builder will allow you to easily design your website without any trouble at all. You can build virtually any website and you can start by customizing your layout, fonts, logo, colors and background as well. You can then use the drag and drop builder to add and also organize your content. The theme if fully responsive. 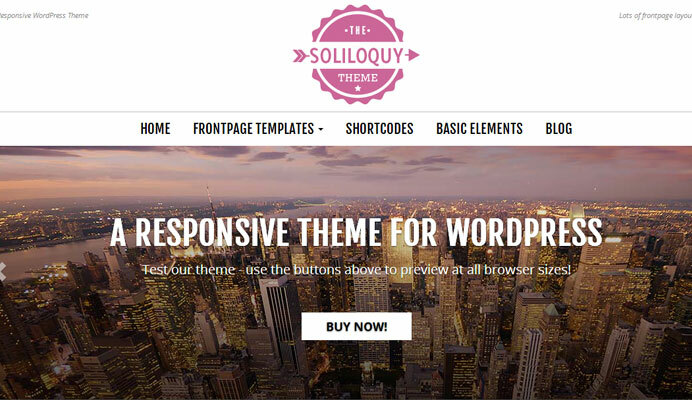 Another responsive and modern theme, Soliloquy is a WordPress business theme that can adapt to different screen sizes and is based on the Bootstrap framework. The theme is rich in typography and provides emphasis on photography and imagery as you can upload full width image options on every page and post. 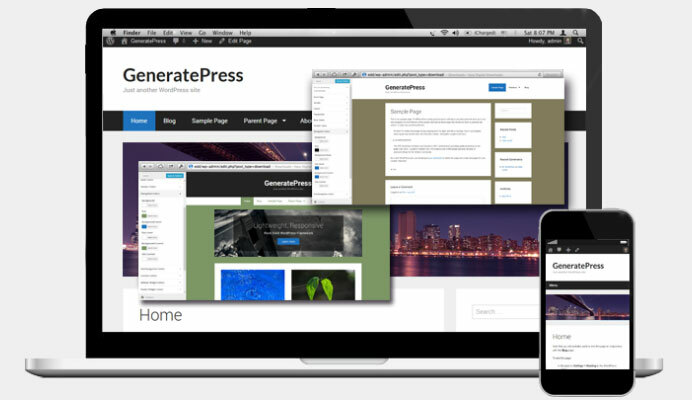 The GeneratePress theme has been made with the CSS3 and HTML5 framework which allows you to be able to create a unique and customized website by being able to easily adjust the colors and layouts of the website in question. All you need to do is to select the option you desire in the Customize section in the Dashboard. The theme is also mobile responsive. In addition, the theme is also search engine friendly, cross browser compatible and is fully translatable. A simple, clean, retina ready and responsive theme, the Interface WordPress theme can be easily customized and has numerous options available to this effect. Some of these options include 6 custom widgets, 5 page templates and top and bottom information bars which can highlight your contact, email and location. 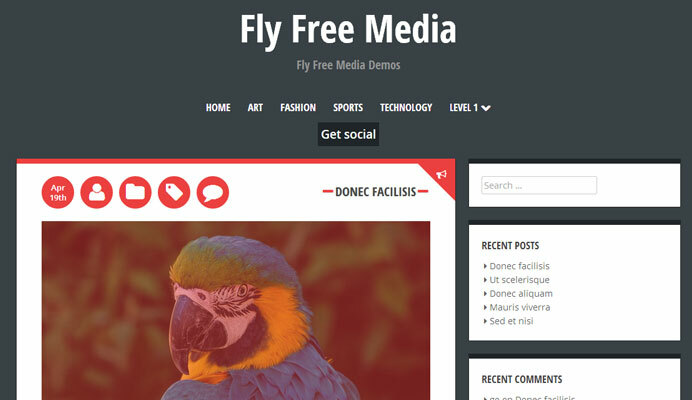 The theme further features favicon, header, menu, webclip icon, CSS, logo and custom background. It also supports a myriad of plugins while being translation ready. 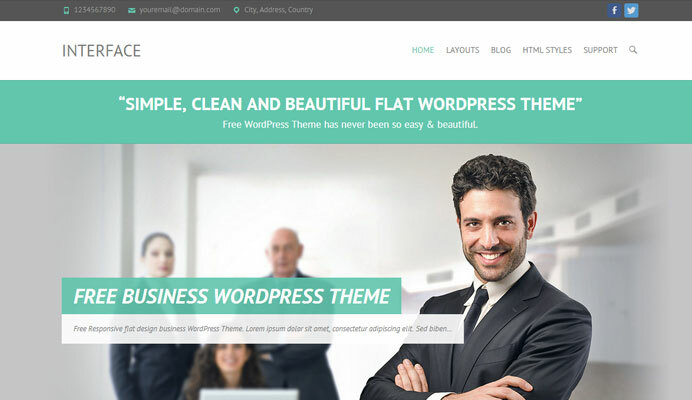 Simple yet elegant is the perfect description of this WordPress theme, which provides a variety of features individual posts which are colored on the homepage, a theme options panel, and large sized feature images which are good enough to show off your photos. 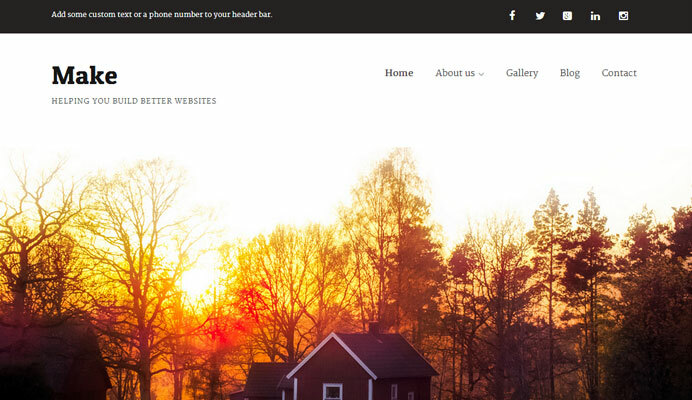 A responsive and clean WordPress theme. Sparkling is an excellent theme for a variety of websites such as health, business, design, art, blogs and any other websites that require creativity. It has been developed and based on the Bootstrap 3 which allows it to be used with tablets and mobiles as well. The theme also comes with social icon integration, full screen slider, popular widgets and author bio. 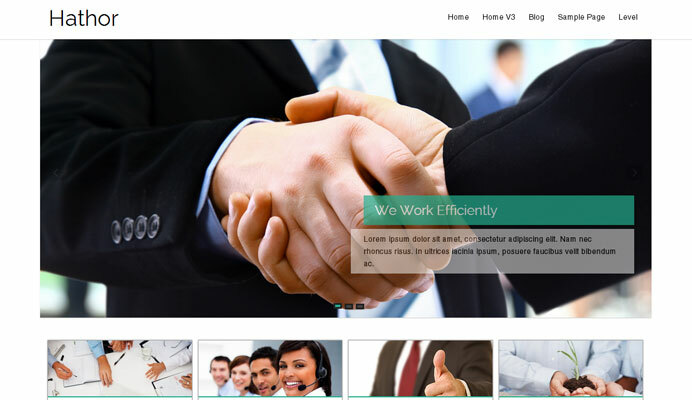 It has been developed with HTML 5 and CSS3 and is SEO friendly as well. 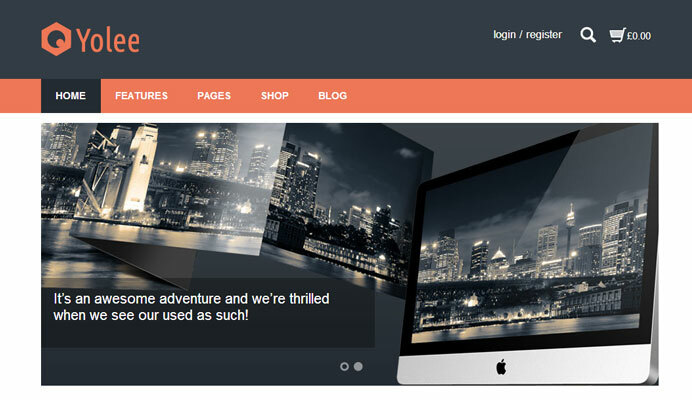 Elmax is a WordPress theme which is clean and responsive and is mostly suited for blogs. 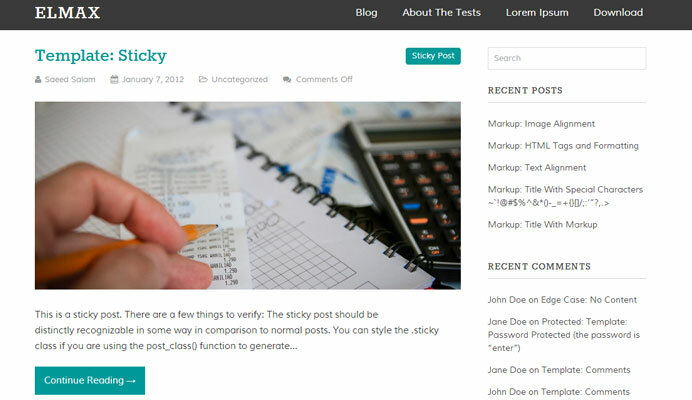 It provides several features such as custom menu, custom background, threaded comments, right sidebar and sticky post. This theme is also 100 percent translation ready. Fully Responsive and Retina Ready — Yolee looks nice on all devices, be it phone or tablets, it will adopt to any screen size and makes things look beautiful on retina displays. SEO Optimized — Yolee is coded by following best SEO practices and it is 100% compatible with industry-leading SEO plugins like “All on One SEO Pack” and “SEO by Yoast”. Multilingual ready — Yolee is translation ready and comes po/mo files and its fully compatible with WPML.